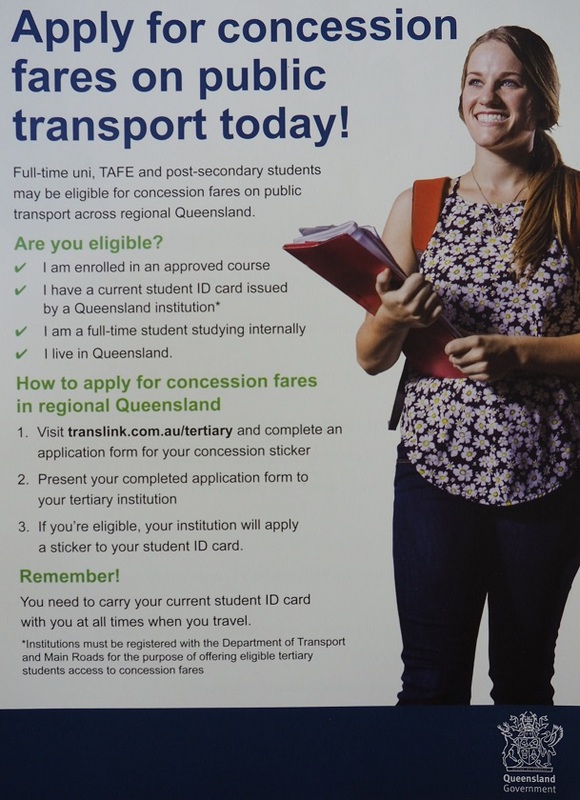 CQ University students – apply for concession fares on public transport today! If you are a full-time CQ University student or TAFE student, you may be eligible for concession fares on Young’s Bus Service. You can apply in 3 easy steps. Attend CQ University campus in Rockhampton with the completed application form and your student ID. Presto! If you’re eligible, you’ll be given a green sticker for your student ID. *If you choose to travel on concession fares without a current student ID or you do not meet the eligibility criteria you could be fined $235.